There are more than 40 billion images shared and 400 million monthly active users on Instagram, generating about 80 million photos daily. Yes, you read that right - 80 million photos per day! In this Insta-world of flooding images, Instagram manages to be one of the best mobile-based photo/video-sharing social network platforms to date. 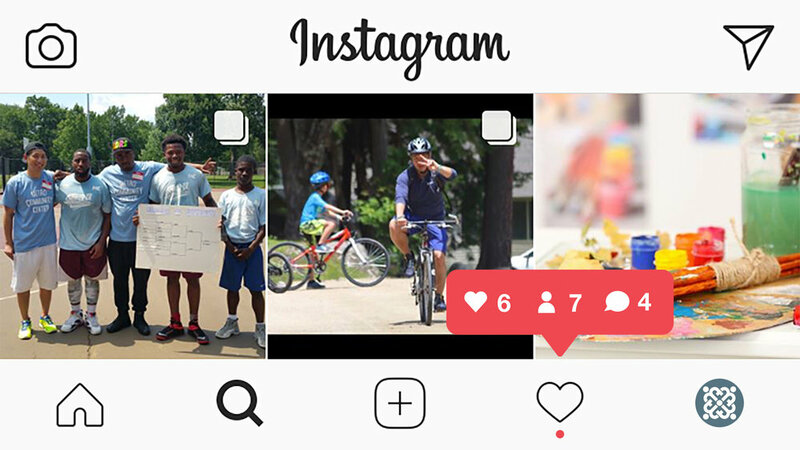 Sure, it's only been around for seven years, but besides individual users sharing their lives via photos and videos, Instagram allows brands, companies, businesses, schools, churches and communities a fantastic opportunity to engage with their followers in a better way than their websites or even Facebook/Twitter posts can. At #eMetro, we have recently established a team of avid Instagrammers whose goal is to promote the community that is Metro Community Church. We see the potential for this 500+ attendee church of ours to be more than just a church who simply has an Instagram account, but to use this powerful visual medium to capture the essence of our beloved Metro, and more importantly.. share what God is doing through our church! Lastly, we want you to see and share YOUR experiences at Metro. Whenever you capture a "Metro moment" and post to Instagram, be sure to tag us @metrocommunitychurch (or @metroyg for our student ministries), tag Metro Community Church as your location and use the #emetro hashtag in your caption (we will also monitor for #MetroCommunityChurch). Who knows, maybe we will "regram" your pic (of course, we will always acquire your permission, and will credit your @username)! So let's do this, Metro! FOLLOW US NOW @MetroCommunityChurch and @MetroYG, start capturing your experiences at Metro and let's share with the world just how awesome our God is!